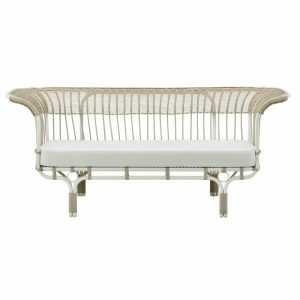 Escape from the daily grind, take a moment for yourself as you sit contemplative on one of our sofa sets or benches. When the weather is looking up and the sun is shining, a day in the outdoors is a must! 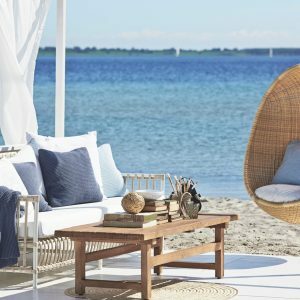 Strenuous activity aside, most would prefer lounging around in a cushy outdoor couch, reading a book, sipping on a cool drink. Doesn’t that sound just divine? 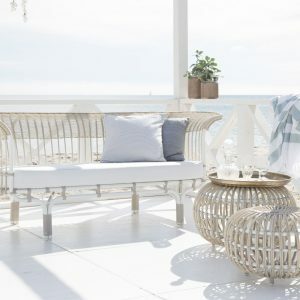 When it comes to your own home, we know that comfort is always key – why then should you expect anything less from your outdoor sofa sets and furniture? 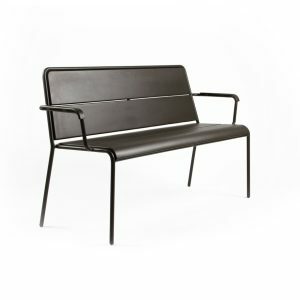 Alongside our range of rattan patio sofas and patio couches – we also accommodate for public seating options such as benches in rattan, as well as aluminium. 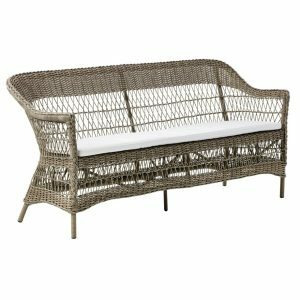 For hospitality projects, beachside resorts or spacious backyard sets ups - our wicker patio furniture includes tables, outdoor couches, wicker sofas and benches. 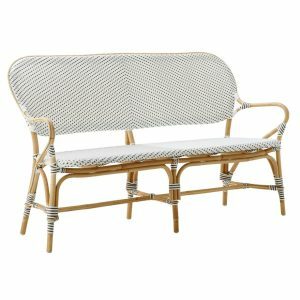 The wicker patio furniture has been crafted from both, rattan, and a specialized material called Alu-rattan – fashioned to look like original wicker or rattan finish – the Alu-rattan incorporates an aluminium frame with a synthetic, durable fibre to last in the outdoor climate. 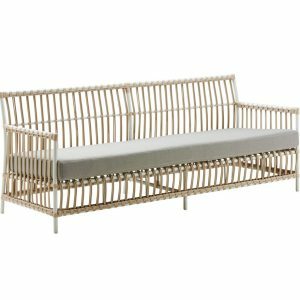 The woven, mesh-like pattern seen in rattan and alu-rattan patio sofas and outdoor sofa sets are quite singular to wicker-design. 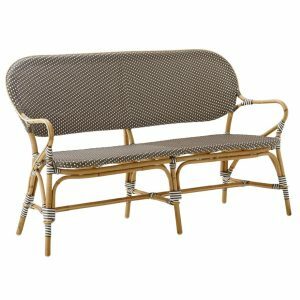 Modern patio furniture is filled with wicker outdoor loveseats, wicker sofas and patio couches! 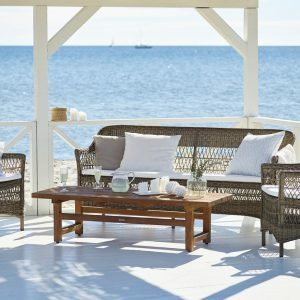 Steeped in history, wicker designs have been around as far back as ancient Egypt and have lasted the test of time all these centuries later! 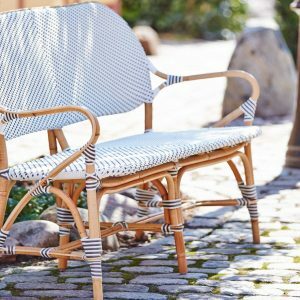 Despite their use back then and today, as modern patio furniture, it is safe to say that they aren’t about to run out of style anytime soon. 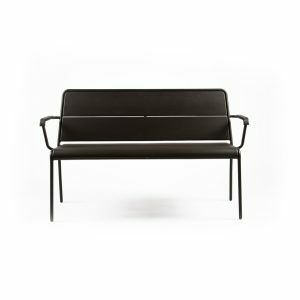 Apart from our wicker patio furniture we also have benches crafted in die-cast aluminium! With these benches and outdoor couches, there is a doubt about the level of comfort they can bring. 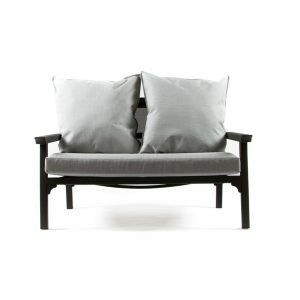 In these cases, seat cushions and pillows are provided to maintain your comfort level as you lounge out in the open. 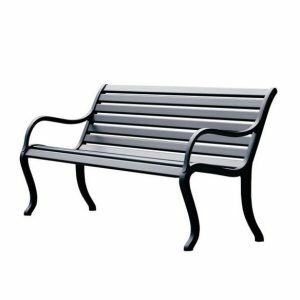 Apart from that, our benches are also ideal for public seating in parks, malls and the like. 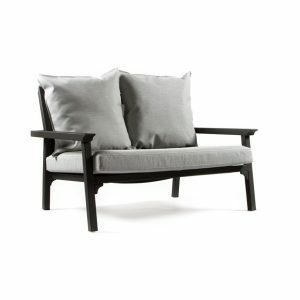 When picking up your patio sofa set, ensure first that it is right for the space in your patio, or backyard. You must also look at how you intend to use it, for smaller parties or large gatherings. 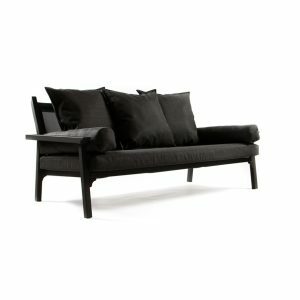 The outdoor sofa is usually available in two-seater and three-seater options. 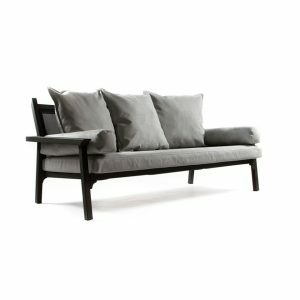 Two-seater outdoor sofas, called outdoor loveseats, are definitely meant for smaller, more intimate gatherings. If your idea is to have large parties over, it is always best to go for a three-seater outdoor sofa to accommodate your requirements. In any case, you can ring us right up and we will always help advise you on the best options to suit your needs. Call us today!